Louvre designs that are easily adaptable to a wide range of uses. 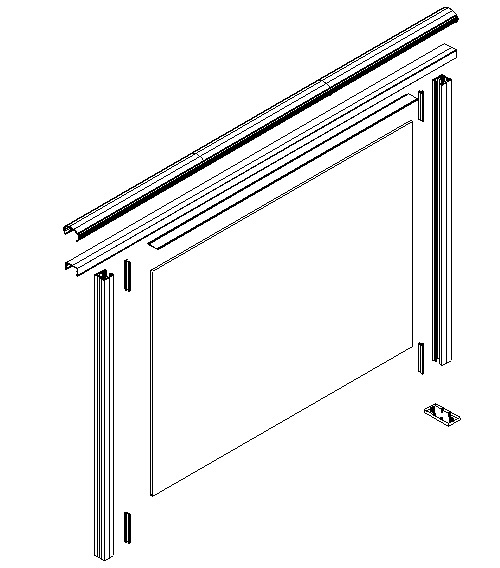 Alumitec introduces "Alumi-Louvre", Australia's leading Fixed Aluminium Louvre System. Using a standard 60mm aerofoil louvre this system is perfect for the majority of residential applications. 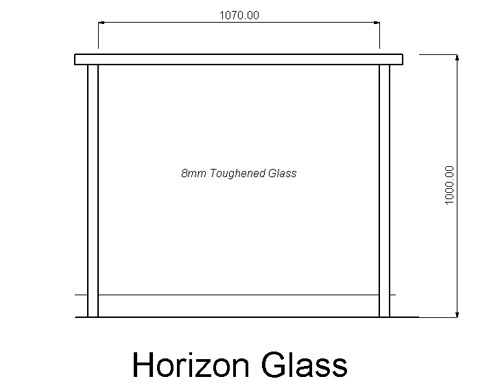 The louvers come standard set at 45 degrees set into a 50x25mm frame spaced flush with no overlap. 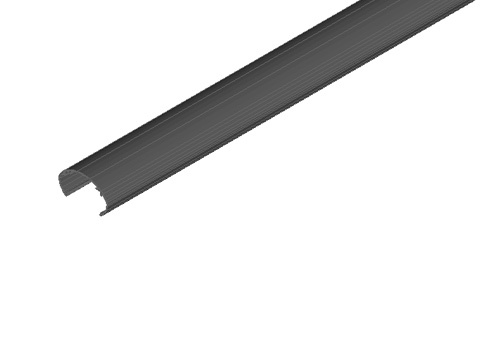 Alumi-Louvre also utilises Alumitec's unique grip-lock system minimizing the need for welds and screws. 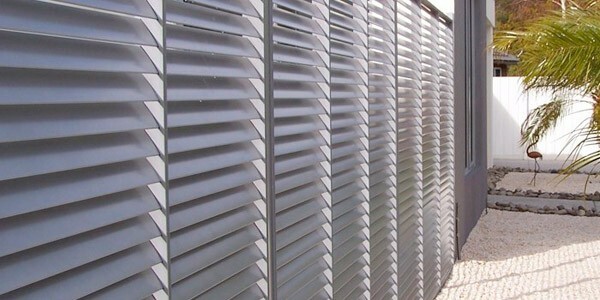 With more emphasis on unique design and compliance with energy efficiency requirements Aluminium Louvres provide a range of design choices and uses to complement your design. Sliding Louvre Screens – hung off top rollers these movable sun and privacy louvers can be installed to balcony edges or outside of windows. 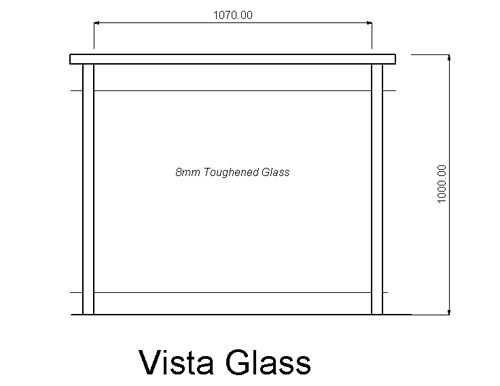 Louvred Sun Hoods – generally mounted horizontally above windows. Sunblock Hoods – have the louvers pointing down and away from the building which blocks out the sun. Sunlight hoods have the louvers pointing up and way from the building which permits winter sun (when north facing) and blocks out overhead summer sun. These sunhoods are self supporting without a brace up to 800 deep cantilvered off the wall. 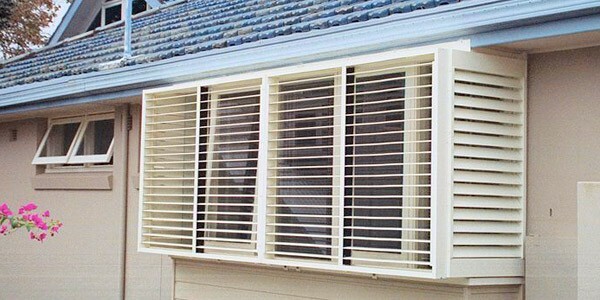 Window Louvres – mounted on the outside of windows these louvres provide both privacy and sun control which will vary depending on the direction the louvres are set. 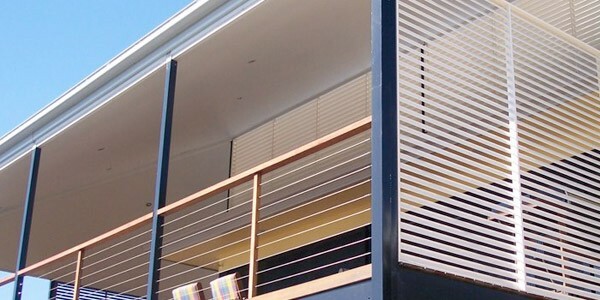 Privacy Louvres – Often council requires that balconies or courtyards overlooking neighbouring properties require some form of privacy screening. 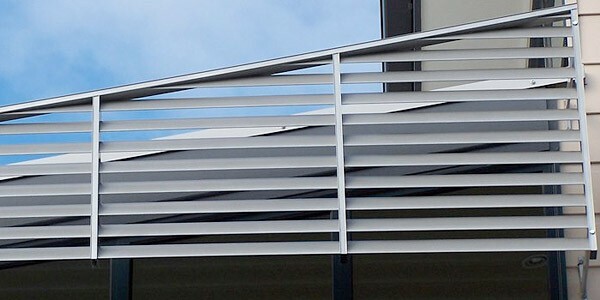 Alumitec's Privacy Louvres provide great low maintenance screening whilst still permitting airflow. Louvred Façade – to add an aesthetic feature Alumi-Louvre Facades provide a great dual purpose option. Not only do they look great and will give your design a lift they will also provide the benefit of sun control and privacy. The key Benefits of Alumi-Louvre Aluminium Louvres!